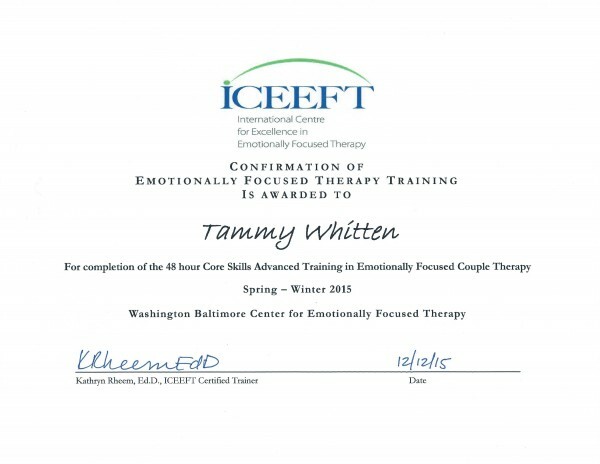 Tammy is completing training in Cognitive-Behavioral Therapy (CBT). 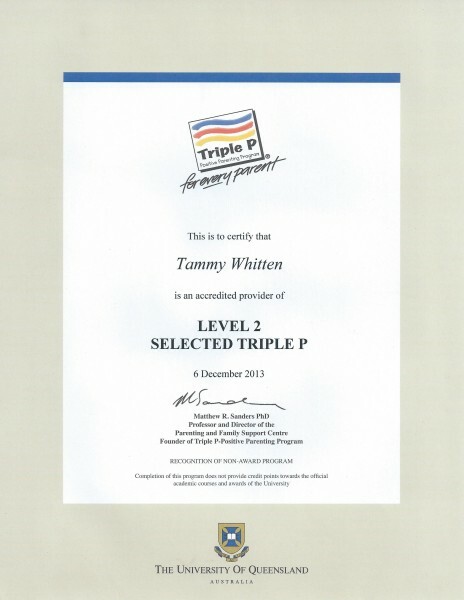 She is a Level 2 and Level 3 Accredited provider for the Positive Parenting Program (Triple P). 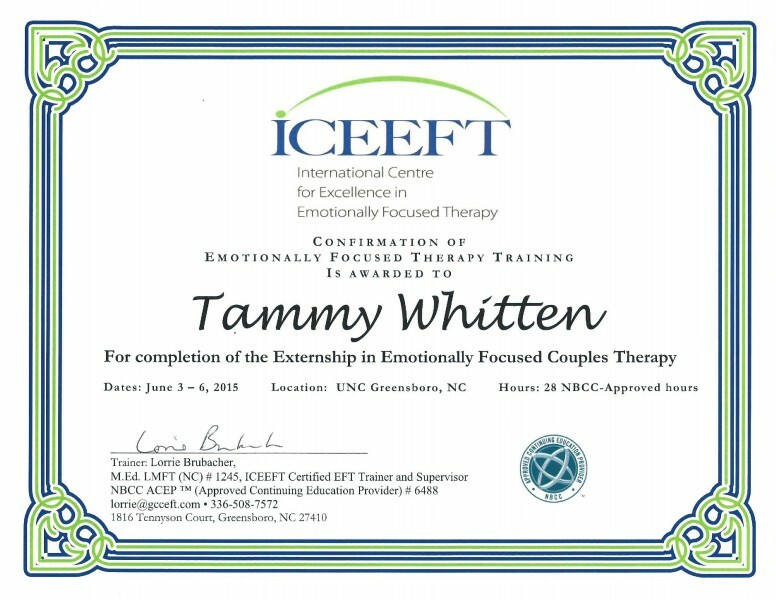 She has also completed an externship in Emotional Focused Therapy (EFT) and has advanced additional training in Emotionally Focused Therapy, which primarily helps couples but also is effective with individuals and families. 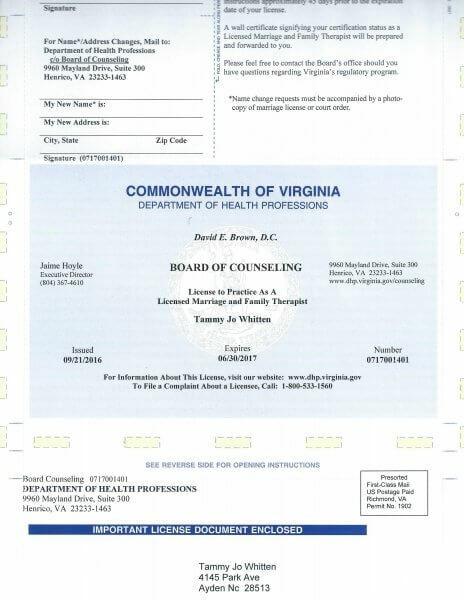 Therapy services are limited to North Carolina and Virginia, as Tammy holds licensure in both states. 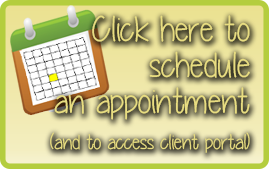 Sessions are available in-person in her office in Greenville, NC, by phone, or online by camera and chat inside the secure client portal. Triple P, or the Positive Parenting Program, helps families to prevent and target problem behaviors from their children. 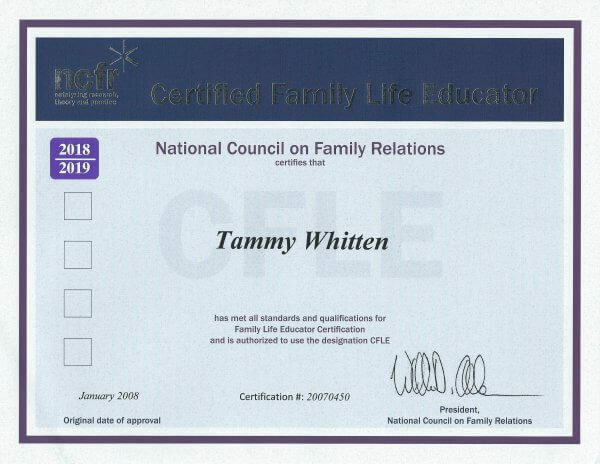 Tammy’s accreditation allows her to provide these services as presentations for groups or by developing individual plans for families to address specific needs. The program has a world-wide presence, and was developed to help parents to feel competent and confident in managing common situations with behaviors, emotions, and developmental issues. The program has also been shown to improve the way parents communicate with each other and others about parenting issues, while reducing their parenting stress and the use of coervice and punitive methods of discipline. Group presentations last approximately 90 minutes, and are available for a fee for your organization or group. Fees are based on distance and the number in attendance. Sometimes Tammy does these presentations online. The entire seminar series can be scheduled, or seminars can be broken down into segments, to allow for in-depth discussion. The three Triple P Seminars are aimed at parents of children who have not yet reached adoloscence. The Power of Positive Parenting shares the five building blocks that serve as the core foundation of the entire program. It shares information on providing a safe, interesting environment for children; having a positive learning environment; using assertive discipline; having realistic expectations; and taking care of yourself as a parent (yes, this one may be the hardest one some days). Raising Confident, Competent Children continues by going further and helping parents see how to teach their children important skills like respect, cooperation, getting along with others, being independent, developing healthy self-esteem, and becoming good problem solvers. These skills are essential for home, school, and other places where children interact with their peers. Raising Resilient Children takes parents in-depth to help their children learn how to regulate their emotions. It’s hard for parents to know the right ways to respond to certain emotions, and here, parents learn how to help their children recognize and accept feelings, express their feelings appropriately, build positive feelings, deal with negative feelings, develop coping skills, and how to deal with upsetting life events. For more information on availability and presentation costs, please contact Tammy here. Research shows that the best results for families come with individualized plans that are developed based on their needs, their strengths, and their preferences. This option allows parents to focus on specific concerns about their child’s behaviors or development. Over four sessions, Tammy works with families to hone in on the specific problem, and to develop the right strategy for that particular situation. 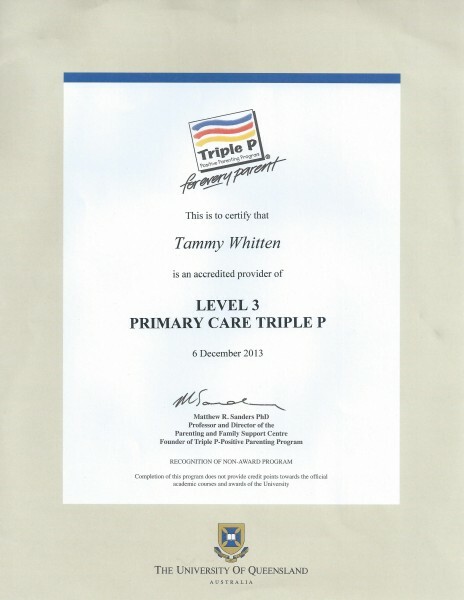 All Triple P services are available to all families, regardless of residence, as this is a parenting program and not therapy. 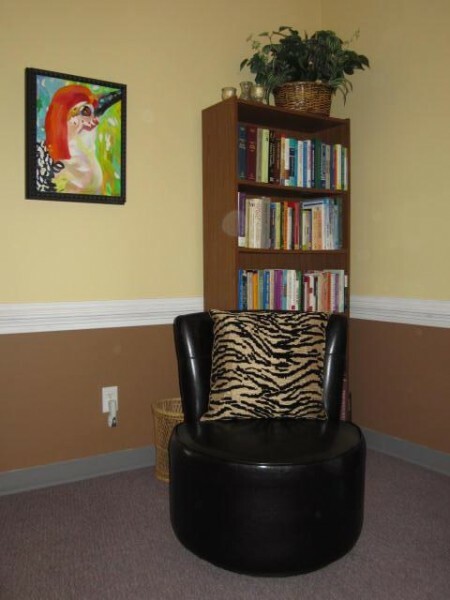 Services are available in Tammy’s office in Greenville, NC, or by phone or web cam. Any travel expenses required for seminar presentations or individual services are part of the agreed-upon fees. Tammy provides consultations to clinicians who are interested in information on how to build, maintain, or expand their clinical work. In her nine years in private practice, she has worked with several coaches to guide her on creating an ideal practice to meet both of the needs of her and her clients. Her coaching has focused on ethical and legal practice maintenance, in addition to business coaching and serving clients online in a variety of methods. In addition, Tammy has learned extensive skills with technology. 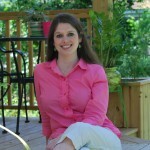 She has built websites for other therapists and boards, and is frequently consulted for her skills with websites. From podcasts to videos to online summits and courses, Tammy has implemented a variety of services in her practice over the years and can share her skills with you. 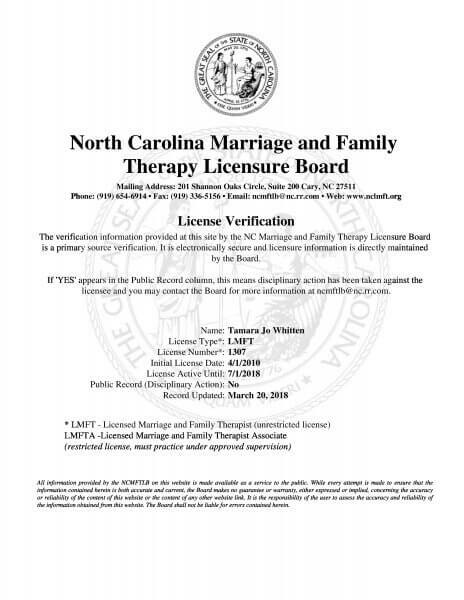 If you are interested in supervision for marriage and family therapy, get on the wait list. Supervision will be available for students enrolled in graduate program for marriage and family therapy, and for those who are pursuing licensure. Because supervisors are overlooking the case load of their supervisees, supervisors should be licensed in the state where their supervisees practice. Tammy is licensed in North Carolina and Virginia, and can provide supervision in either of those states. An interview is required prior to the start of supervision. Hold Me Tight is a world-reknowned relationship enrichment program based on the best-selling book, Hold Me Tight by Dr. Sue Johnson. Based on the most effective couple therapy used by specially trained therapist, Hold Me Tight seminars and retreats help couples learn to see their own patterns of interaction and how to better connect with their partner. Each couple will receive their own copy of the book Hold Me Tight, along with a workbook for the program. The program is divided up into eight parts that last 2-hours each. It is available as a series of seminars or a comprehensive weekend program. The next weekend retreat will be held in the 2nd half of 2018. 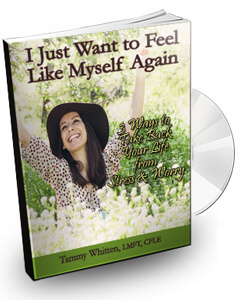 If your organization is interested in having Tammy share the Hold Me Tight seminars, please contact her here.